Eric M. Taylor Center is located in East Elmhurst New York and was formerly known as the Correctional Instituion for Men. It is a jail that houses both adult and juvenile male offenders. 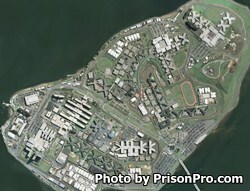 Many of the inmates at this institution are used as a labor force and provide landscaping, maintenance, and industrial duties to Rikers Island. Inmates at this facility have been sentenced to a jail term of up to one year. Visiting days and times are based on the first letter of the inmate's last name. Check the current visiting schedule here for which days you can visit. No visits occur on Mondays or Tuesdays. Wednesday and Thursday visitation registration occurs between 1pm and 8pm, visits last until 9pm. Friday, Saturday, and Sunday visitation occurs from 8am-4pm, registration for visiting is from 7am-2pm.